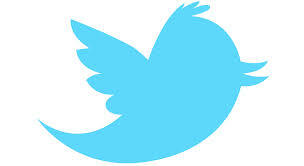 To celebrate 8 years, twitter has released this cool little website, www.first-tweets.com. The website allows you to look up the very first tweet from any twitter account. One wonders why it has taken 8 years for this be released. Kicking the tires on my Twitter feed. Is reflecting on Kundera: One world means no escape for anyone, anywhere. Our support team at City Hall have instructed me to get on twitter. So here I am. Hello, my first tweet ever … for *once*, i agree with Boris Johnson, about reducing Olympic costs by using fewer temporary facilities. Caroline Lucas, The Green Party’s only MP and then leader, joined on the 9th November 2009 with this critic of nuclear power…good to see she started as she intended to go on! Can't believe government still promoting unsafe, uneconomic, unnecessary nuclear power – I'll be debating this on Radio 5 Drive Time at 5pm! A busy week in Strasbourg – the EU’s seal product ban, road pricing and protecting small businesses all on the agenda. How things have moved on in just a few years…Caroline Lucas is now one of the most followed MPs on twitter with nearly 75,000 followers.